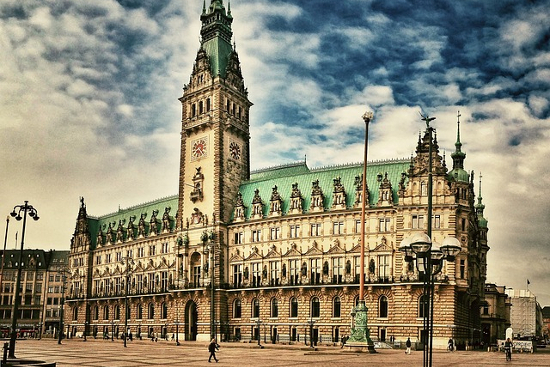 Mayor’s Welcome reception will be held in the beautiful Hamburg City Hall. Attendee information: Badge and personal invitation letter required, bus departure at 5.45 p.m. from conference location, access to the city hall at 6 p.m., individual return. Return: Take the U3 (yellow line) from Rathaus towards Schlump - Barmbek for 10 stops to Kellinghusenstraße. There you can take the bus line 25 towards Bf. Altona for 5 stops to Löwenstraße (Facharztklinik). During the registration via Eventbrite registration system you need to decide for one of four social events. Please understand that we cannot fully guarantee participation due to availability and cancellation deadlines. In case we cannot offer an event, we will assign a different social event to you. The Deutsches Elektronen-Synchrotron DESY (German Electron Synchrotron) is a national research center in Hamburg that operates several particle accelerators used to investigate the structure of matter. About 600 scientists plus 1200 technicians perform research and development works there. 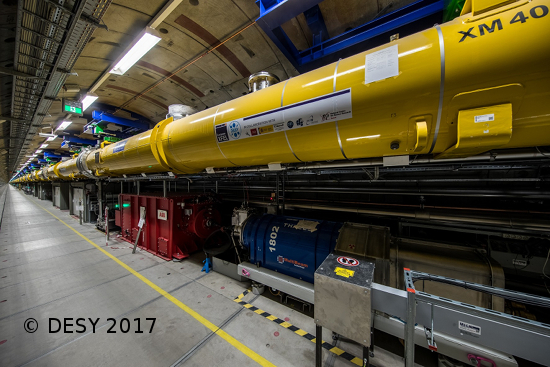 For example, the European x-ray free electron laser (European XFEL) is the world's largest and brightest x-ray laser operates in a 3.4 km long tunnel containing a 2.1 km long superconducting linear accelerator where electrons are accelerated to an energy of up to 17.5 GeV. Experiments produce huge amounts of data for which information processing and storage demands for novel approaches in data science, including software architectures. Attendee information: Badge required, bus departure at 3.00 p.m. from conference location, return 7.30 p.m., no disability access. 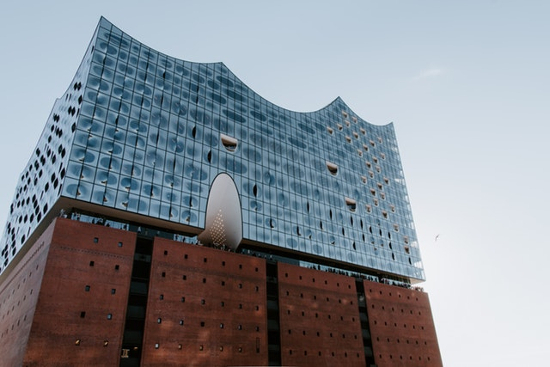 Discover the new landmark of Hamburg: the concert hall Elbphilharmonie. A guided tour through the concert hall, which is built in the old Kaispeicher A warehouse, the foyer areas and the heart of the building, the Grand Concert Hall. We will hear stories about the beginning of the Elbphilharmonie and details about its unique architecture. The tour will be finished at 5 p.m. An individual walk around the building on the Plaza (8th floor) is recommended. Attendee information: Badge required, bus departure at 2.45 p.m. from conference location, individual return, no disability access. Return: Take the U3 (yellow line) from Baumwall towards Schlump - Barmbek for 10 stops to Kellinghusenstraße. There you can take the bus line 25 towards Bf. Altona for 5 stops to Löwenstraße (Facharztklinik). 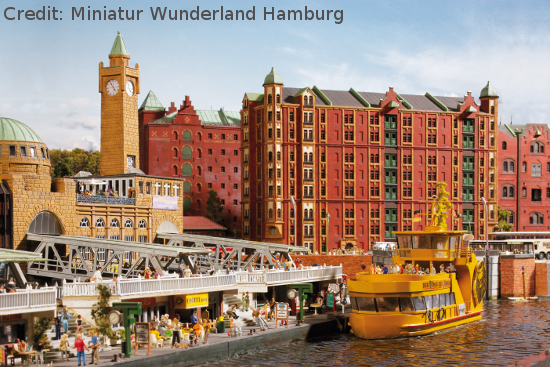 Miniature Wonderland in Hamburg, located in the historic harbour Speicherstadt, offers series of diorama representing social conditions and life in various periods of German history, including a railway with 15,4 km of track. We propose a 2 hours individual visit, while two guides will offer short backstage tours in small groups under the swiss mountain section and to the automated car system. Attendee information: Badge required, bus departure at 2.45 p.m. from conference location, individual return. 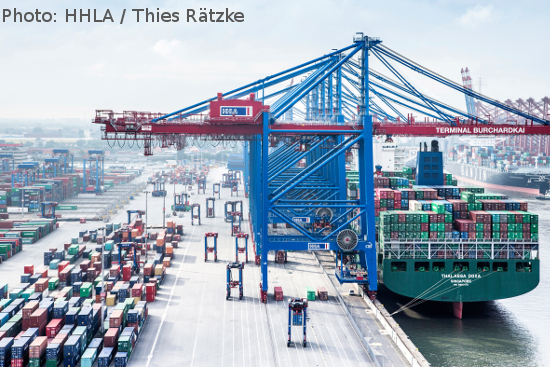 This bus tour enables an exclusive view inside one of the most advanced, fully automated Container Terminals, harbour, in between huge cranes, endless container depots and gigantic cargo ships. We will start in the historic Speicherstadt, go through the futuristic Hafencity, glance briefly at the impressive Elbphilharmonie and cross over the great Köhlbrand Bridge with a beautiful view over the port. Attendee information: Badge required, bus departure at 3.20 p.m. from conference location, return 6.30 p.m., identity card/passport required, no luggage. The conference dinner will take place at the Johannes Albrecht Brauhaus, Adolphsbrücke 7, 20457 Hamburg. The brewery is directly at the town canal, close to the city hall. 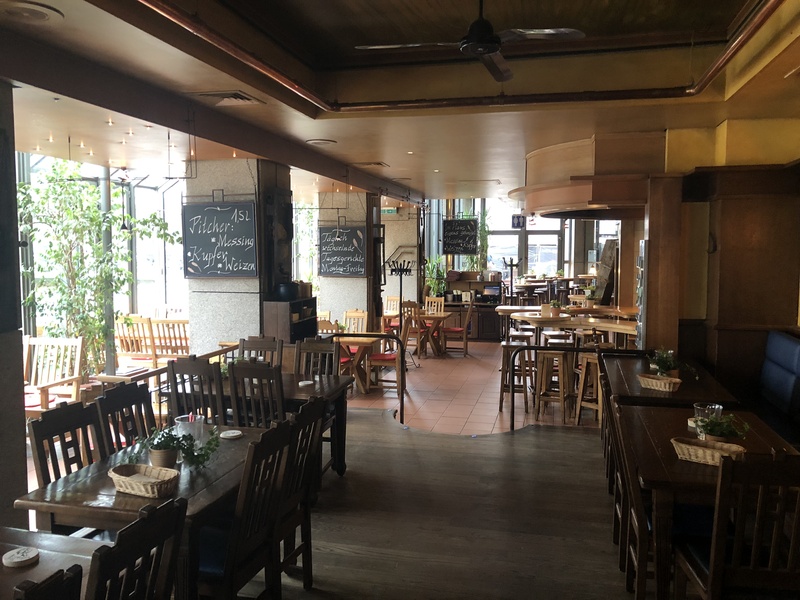 The cozy and rustic interior invites to talk and drink a home-brewed beer. Attendee information: Badge required, bus departure at 5.45 p.m. from conference location, individual return.